by Janet D. Pearl, MD, MSc | Sep 14, 2018 | cpc, What new at CPC? 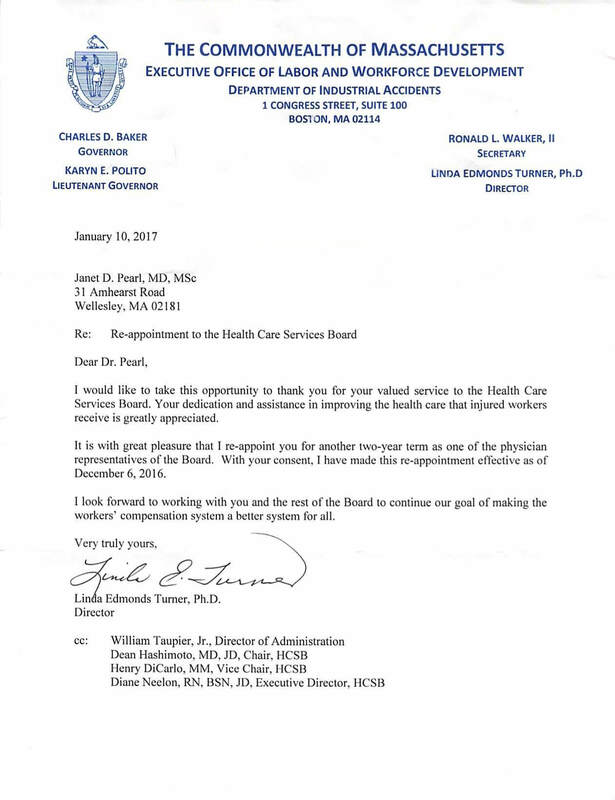 I would like to take this opportunity to thank you for you valued service to the Health Care Services Board. Your dedication and assistance in improving the health care that injured workers receive is greatly appreciated. It is with great pleasure that I re-appoint you for another two-year term as one of the physician representatives of the Board. With your consent, I have made this re-appointment effective as of December 6, 2016. I look forward to working with you and the rest of the Board to continue our goal of making the workers’ compensation system a better system for all.